Create independent workspaces based on a set of use cases, group of users, or various business units in the organization. 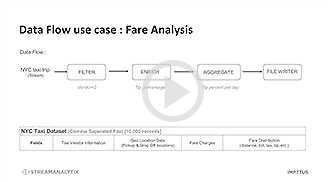 This enables you to logically separate the same underlying shared infrastructure and optionally assign resources to independently tackle data, execution and analytics. StreamAnalytix supports both on-premise and cloud-based deployments. StreamAnalytix sits on the edge and can be up and running in minutes, without worrying about integrating with complex underlying infrastructure. The application also supports HA and a multi-node installation can run behind a load balancer using a sticky session. 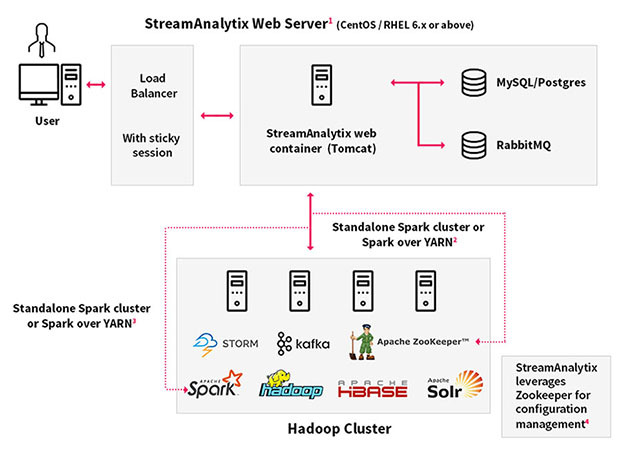 StreamAnalytix leverages Zookeeper to manage its configuration. The Zookeeper ensemble could be the same as that of the Hadoop ecosystem, or a separate one. Connection with Zookeeper can be kerborised. StreamAnalytix leverages Zookeeper to manage its configuration. 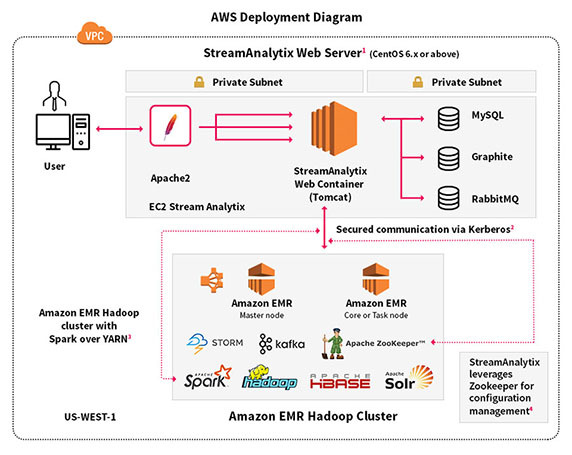 The zookeeper ensemble could be same as that of the Hadoop ecosystem or a separate one. Connection with zookeeper can be kerborised. Built with enterprise grade security features, including; multiple user roles, with role-based access based on DB backed security model, and integration with LDAP. It also supports Kerberos to connect to various underlying big data technologies to connect, process and store data. StreamAnalytix™ enables enterprises to analyse and respond to events in real-time at big data scale using stream processing and machine learning….